What Is Web Check In? Web Check-in is the process by which the passengers confirm their presence on the flight and prints their own boarding pass which avoids waiting in the queue at the airport. It depends on the airline they are traveling. The passengers will have options to choose their meal preference, baggage quantities, and their preferred seat. The service is generally promoted by the airlines to help the passengers for faster and easier check-in rather than waiting in the queue at the check-in counter in the airport. It depends on the airlines the passenger has chosen. Some airlines will still require the traveler to go through the check-in counter for document verification (when traveling to other countries which require Visa or to ensure that the credit card purchase is genuine). If the passenger has to go through the check-in even after performing the web check-in, a special queue is allocated to them and the process is faster than the typical check-in. Attention While You Book Tickets: Web Check-in is used for tickets which are booked online. Once you make the booking, the airline will notify you on how to do the web check-in. Some airlines offer their passenger to do web check-in directly at the time of booking and others send a mail 24-48 hours prior to the flight departure time that the web check-in is open for them. Using Airlines Applications: Most of the airlines have their applications published on the Play Store or the App Store. The passengers can download these apps to keep themselves updated about their flight status. These apps also send reminders when the web check-in opens so that the passengers can do the web check-in with their preferred seat. Moreover, you can see your flight details such as exact departure and arrival time, flight distance and alert you when the departure gate opens, thus the passengers can be relaxed before their flight. API Booking: Here, API means Advance Passenger Information. Under strict guidelines, all the airlines have to collect passengers details such as their passport name and insurance details. Some airlines may also request the address where the passenger will be staying for some destinations. You will be prompted for these details at the airport counter if you did not do it online. Completing it online will only make your journey smooth. Choosing the Boarding Pass: Most of the airlines offers their customers to print the boarding pass at home. It is beneficial too as some airlines charge fee failing to do so. The boarding pass is usually sent through the mail or on the mobile number specified in the booking. For people traveling in groups, a person can download all the boarding pass in his mobile for easier check-in. How To Do Web Check-In? Here is a list of some of the famous airlines available in India and the steps to do the web check-in for each airline. Air India: Air India’s web check-in is available 48 hours prior to the flight’s departure time and closes 2 hours before. 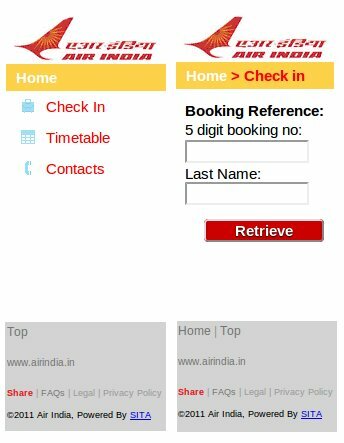 For performing the web check-in for Air India, passengers can either download their application or use their website to do so. Browse to the “Manage Your Trip” section and select web check-in. 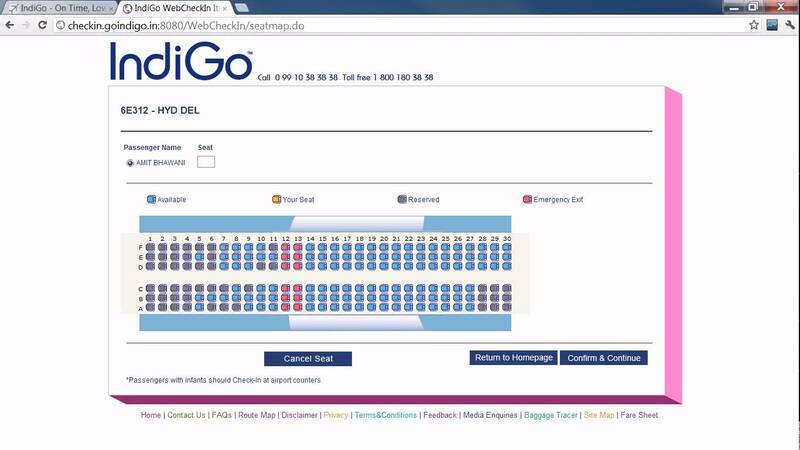 Indigo: Indigo’s web check-in is available only 2 hours prior to the flight’s departure time. Open the web check-in page directly through this link. Enter your booking reference number and follow the steps. Choosing your preferred seat and meal might result in extra charges. Vistara: Vistara offers their passengers the option to do web check-in either through their mobile app or through their website. The web check-in is available 48 hours prior to the departure. 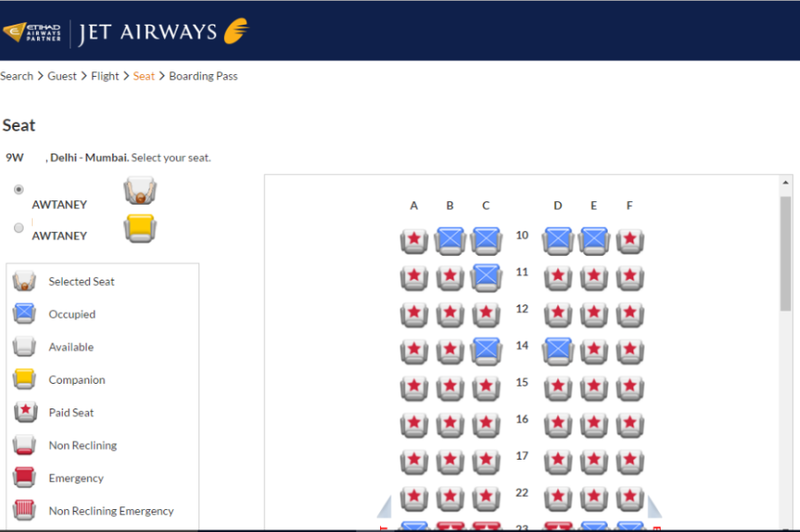 Jet Airways: The process is the same for Jet Airways too. You can perform the web check-in through their app or website. The web check-in time is usually 48 to 12 hours before the departure.